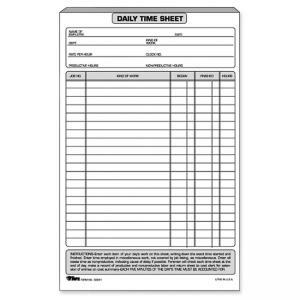 Daily time sheets allow managers to keep a complete record of jobs worked on by each individual. 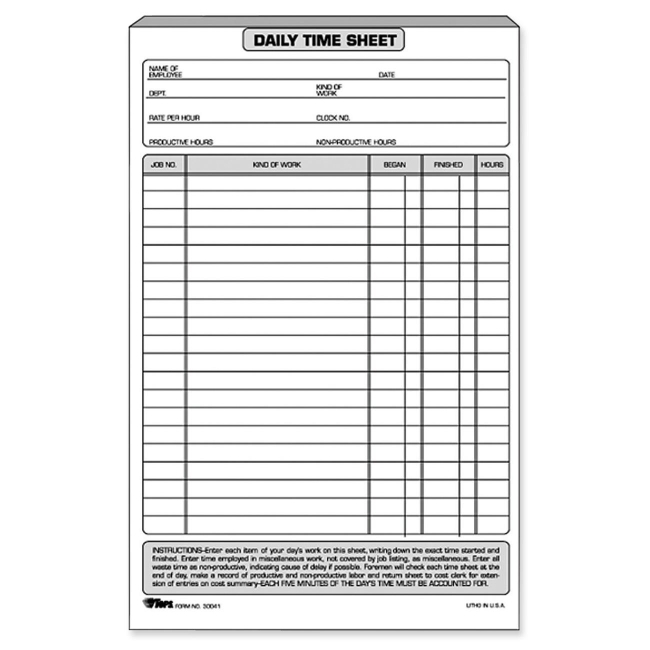 Each sheet is printed in black ink on white stock. Each pad has 100 sheets.